ALIAS: Why Does It Work? Since 1992, Dr. Chaski has taken into account the fact that language can be imitated. We all know someone who can mimick another person’s voice with uncanny similarity, and we know that a literary artist might purposefully pen a story in the style of a famous antecedent. Forgery, however, is only as good as the forger. What makes a linguistic forger hard to detect is metalinguistic awareness, or the ability to think about language as an object in and of itself, and not merely as a means of conveying a message. Each human has some degree of metalinguistic awareness, and while some people have an enormous aptitude for linguistic mimickry based on metalinguistic awareness, two psycholinguistic facts enable ALIAS to work. First, since language is built for communication, or the “what” of a message, very little attention is paid to the structure of language, or the “how” of a message. In fact, psycholinguistic experiments since the 1960’s have shown that the how of a message degrades from memory in milliseconds; witness the fact that we use court reporters to transcribe how something is said because we simply don’t remember the exact words for even a minute. These kinds of hard-to-remember linguistic features are the ones on which Dr. Chaski has focused her research and development underlying ALIAS, and consequently ALIAS modules perform very well on their particular tasks. Second, since people vary in metalinguistic awareness as in intelligence and other cognitive characteristics, only a small percentage of the population will have the kind of metalinguistic awareness necessary for linguistic forgery. It takes hardly any metalinguistic awareness to copy someone’s punctuation marks or frequent words or spelling errors –the kinds of linguistic features used by forensic stylistics, text analysis, forensic sociolinguistics or behavioral analysis. But it takes a much more sophisticated, and much more rare, metalinguistic awareness to imitate syntactic structures at exactly the right proportions to withstand statistical analysis which differentiates different linguistic classes. In sum, ALIAS works because it uses sophisticated and normally unconscious linguistic features which are very difficult for us to recognize, manipulate and control. 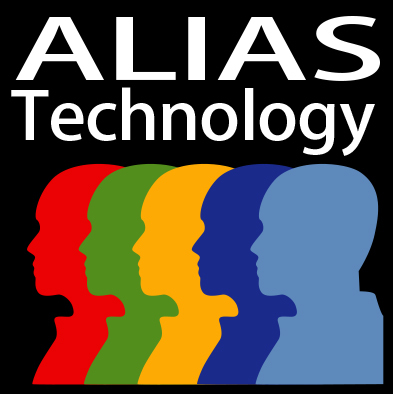 While linguistic forgery is possible, and each ALIAS component’s error rate is determined by continual validation testing, analysis by ALIAS can detect linguistic forgery and reliably classify documents for authorship and text type.